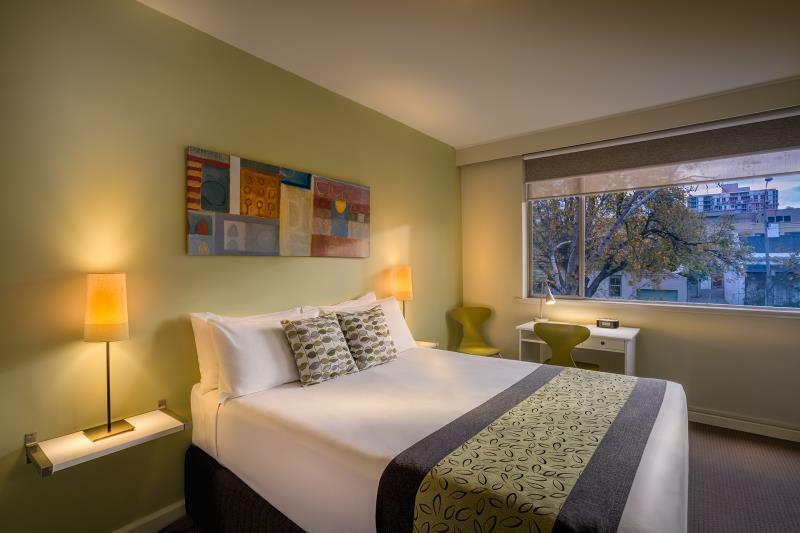 يحظى فندق Birches Serviced Apartments بمكان متميز في محور ملبورن سياحة, تسوق في منطقة East Melbourne الفاتنة. يمكن من هنا للضيوف الاستمتاع بسهولة الوصول إلى كل ما تقدمه هذه المدينة النابضة بالحياة. بالنسبة لمن يريد الخروج، هذه بعض المعالم السياحية المتوفرة للزوار مركز تنس, Darling Square, جترودي كونتمبوراري ارت سبيس. يعمل Birches Serviced Apartments على ضمان إقامة مريحة لضيوفه من خلال خدماته الممتازة وحسن ضيافته. لضمان راحة ضيوفه، يقدم الفندق الخدمات التالية: واي فاي مجاني في جميع الغرف, خدمة سيارات الأجرة, مجهز لذوي الإحتياجات الخاصة, مرافق مخصصة لذوي الاحتياجات الخاصة, تخزين الأمتعة . ادخل إلى واحدة من الغرف 23 وتخلص من عناء نهار طويل بمساعدة مجموعة كبيرة من الخدمات كمثل إغلاق, شاي مجاني, مناشف, سجاد, قهوة فورية مجانية الموجودة في بعض الغرف. كما أن مجموعة الخدمات الواسعة الموجودة في الفندق لضمان راحتك تترك لك الكثير من الخيارات لقضاء وقتك أثناء فترة إقامتك. مهما كانت أسبابك لزيارة ملبورن، فإن Birches Serviced Apartments هو الخيار الأفضل لإقامة مثيرة وممتعة. يكون مكتب الاستقبال مفتوحًا من الساعة 7:30 صباحًا حتى الساعة 7 مساءً في أيام الأسبوع العادية، ومن الساعة 8 صباحًا حتى الساعة 4 عصرًا خلال عطلات نهاية الأسبوع. يجب على النزلاء الذين سيصلون في وقتٍ آخر غير الأوقات المذكورة أن يتصلوا بالعقار مباشرةً قبيل وصولهم؛ وذلك حتى يمكن إجراء ترتيبات بديلة. Was hoping for a much nicer, better kept apartment as is pictured in the pics but i was disappointed with the overall cleanliness and the fact that it was a renovated block of flats. Bed was clean and good but it appears the cleaners don't bother to clean in other areas that are more difficult to reach. . . dust build up was obvious sadly. great location and had it been really clean and tidy, a little more modern i would have highly recommended it. Also there's no TV in the bedroom. unfortunately looks better than it is. 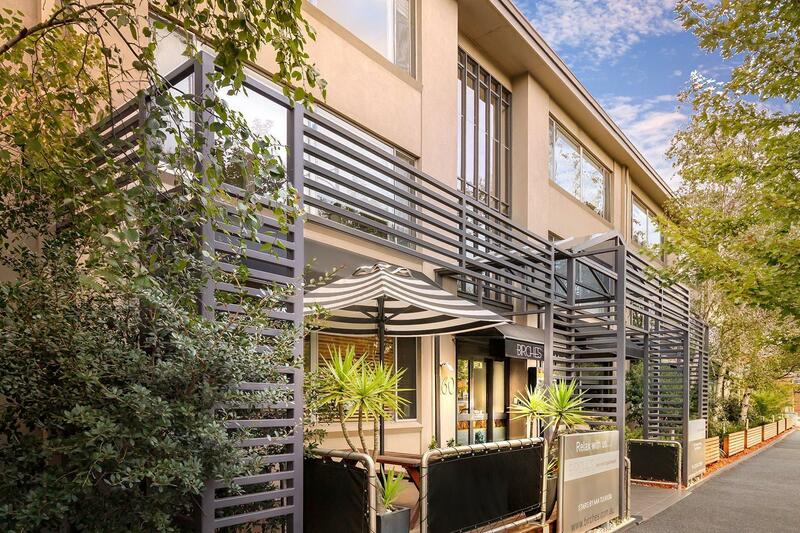 A great location walkable to the city and to Fitzroy. Pleasant with good facilities. Two couches were a bit worn but very comfortable. Great view towards the city, we could see the NYE fireworks. Handy to have parking available at a reasonable price. Positive: The spacious appartement was more than sufficiently equipped with everything we needed. Close to tram, train and bus. Check-in and check-out was very uncomplicated. The personnel was very friendly. Negative: Our room windows were faced to the street. In the night it was okay, but in the morning with starting traffic it was unacceptably loud. 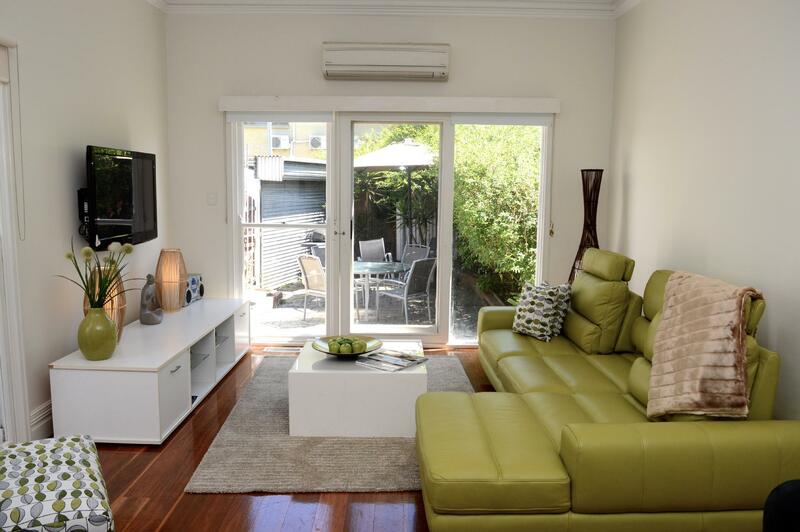 Location is great and near Richmond railway station. The kitchen is quite good with all the facilities ready. Besides the bed, there is a sofa bed. So enough for family travel. Ideal location, just on the east of Melbourne with excellent tram links to city. Staff so helpful, couldn't do enough for us. Clean, quiet, roomy and all that we wanted. Would visit again as ideal base for all Melbourne. Actually going to miss the place! Thank you for making our stay so enjoyable. We just had a short stay. It's all a bit retro and run down for our liking. We didn't have a 'bad' experience but probably wouldn't go back. Very happy. Good room, good service. Facilitated after hours access, no problems. Great location and a really quiet spot just outside of the CBD. Very friendly and helpful staff capped off a short trip. Very pleasant stay in light and airy rooms. stay was good, nice and clean. nice and quiet for city location. found the bathroom okay the shower's water presure could be better and the shower head kept falling down if you are tall it would of been frustrating. the staff were friendly. will stay there again if in the area. Birches is a great place to stay if you're just looking for a value-for-money, basic budget accomodation, and not too fussed about being in the centre of the town. There is limited to no night life in the immediate area, so if that's your priority, probably better to give this one a skip. But if you're looking for a relaxed, long-walk, garden-centric type stay, this is your place. 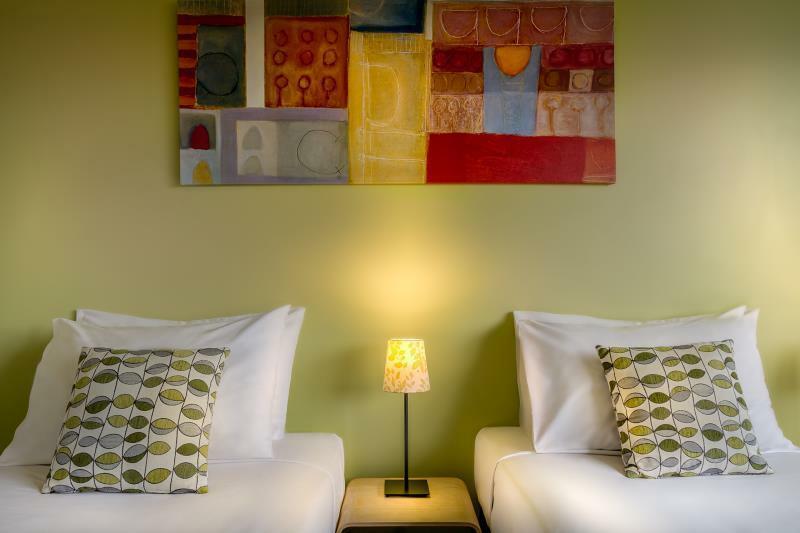 The staff is freindly and helpful, rooms feel well-used but are clean and functional, and although the location is a bit out of the way from CBD, its not more than a 15-20 minute ride on the tram / bus, both of which stop quite close by (~5 minute walk). I used the wifi exensively to stream skype video and radio channels and it worked well, even for multiple devices. There is a convenience store nearby (if you're the cooking type) and they'll give you a small discount if you show them the Birches key. The airport shuttle pick (skybus) up is ~5 minutes walk away, but you can get the reception to advance book a 'starbus' which does a door-to-door service. Resturaunt choices are limited in the immediate vicinity, but smith street is ~10 minutes to walk, and has multiple choices. On the whole, I loved my stay, and would definitely stay here again.